Dr. Julia Skinner is a practicing dentist at The Center for Cosmetic and Family Dentistry serving residents in Destin, Panama City, Panama City Beach, and across the Emerald Coast. Raised in Atlanta, Georgia, Dr. Skinner earned a BS degree in Biology, a BSES degree in Entomology, and a BSA degree in Environmental Science from the University of Georgia in Athens. She received her Doctor of Dental Medicine degree from the prestigious University of Florida in Gainesville. Over the last several years, she has participated in three mission trips providing dental care to impoverished villages across Central America that have no access to medical treatment. She also established and organized a new community outreach dental clinic during her time in Gainesville, providing emergency and restorative services to the local underserved population. In addition, Dr. Skinner has organized and taught several education programs focusing on the importance of oral hygiene in elementary and middle schools throughout Georgia and Florida. Dr. Skinner strives to use the most advanced dentistry techniques and materials currently available, all in a comfortable, relaxing environment with warm and friendly service. She is very proud of her well-trained professional dental team in both her Panama City Beach and Destin practices. While both offices offer comprehensive dental services, The Center for Cosmetic and Family Dentistry is known for its advances in the field of cosmetic dentistry. As a premier Invisalign® provider, Dr. Skinner has extensive training and experience with straightening teeth using clear, comfortable aligners. She is also extremely passionate in her work with full mouth cosmetic rehabilitation, cosmetic bonding, and Zoom!® teeth whitening procedures. She has participated in hundreds of hours of continuing education to further her knowledge of dentistry. Among these, Dr. Skinner participates in post-graduate programs such as the series of Dawson Courses. As a respected member of the dental community, Dr. Skinner maintains membership in a number of accredited and respected dental organizations, including the American Dental Association, the Florida Dental Association, the Florida Academy of Cosmetic Dentistry, and the Northwest Florida Dental Society. 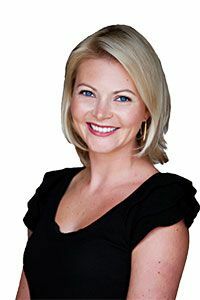 She has also been featured in several local magazines including Emerald Ladies Journal, Emerald Coast Magazine, Destin Magazine, Vie Magazine, and writes a bi-monthly article for Emerald Lady’s Journal. Dr. Skinner is proud to be an Emerald Coast resident. 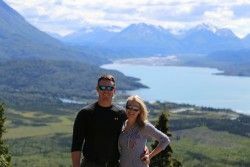 In addition to being a leading dentist for Destin, Panama City, and Panama City Beach, she enjoys spending time with her husband, Andrew, and appreciating the restaurants, activities, community, and of course the beaches the Emerald Coast has to offer.